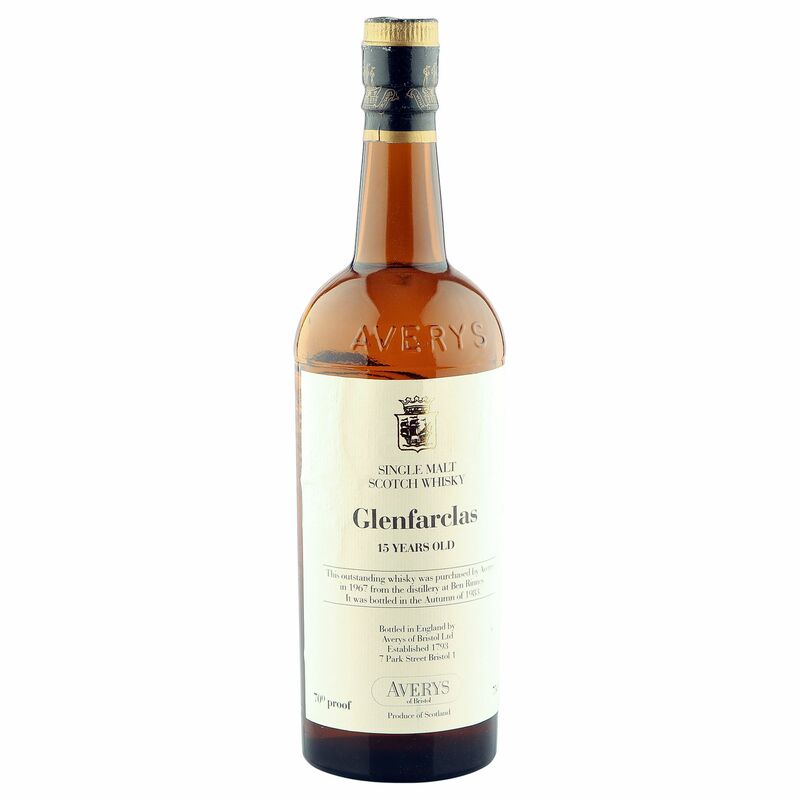 An exceptionally rare 15 year old vintage Glenfarclas single malt that was distilled in 1967 and bottled at 70 proof for the Wine Merchants, Averys of Bristol, in the Autumn of 1983. This Sherry oak matured malt is a thing of beauty, made all the more interesting due to the fact Glenfarclas very rarely allow independent bottlers to use their name on the label. Speaking of which, there are some slight creases to the label, but overall this old bottle is in good nick - see image for detail.